An energetic bundle of drive and intellect, Dr. Nazemi has always known that he wanted to do great things. He is highly intelligent, sincere, outgoing and eagerly approaches his tasks in life and Chiropractic with both diligence and ambition. Growing up with a Neurologist for a father, Dr. Nazemi has been taught that there is no gift better than helping others. In his youth, the doctor was well-molded and graduated top of his class in high school and at college. Furthermore, he was ranked number one in tennis at Palm Springs High school, and included in a prestigious list of top players in Southern California. 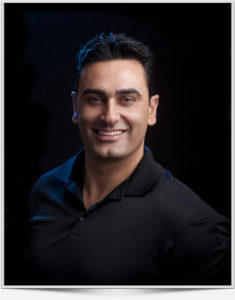 Dr. Nazemi graduated from the University of California Irvine and competed in Division One collegiate rowing, in addition to playing intramural football. His athletic experience and passion for peak performance underlie his keen interest in sports rehabilitation. 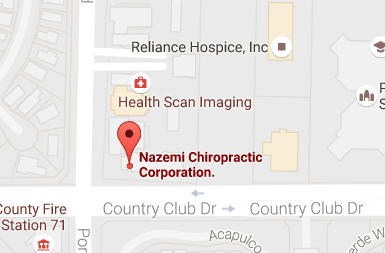 Dr. Nazemi attended the prestigiously known chiropractic school, Palmer West. Here the doctor focused on sports chiropractic, wellness and preventative injury. He graduated on the dean’s list and received various honors for his outstanding achievements. He is a current member of the American Chiropractic Association. Furthermore, his proficiency in Kinesio-taping has allowed him to be certified as a ROCK-TAPE doctor for sport injuries and prevention.